The Manufacturing Safety Alliance of BC (formerly known as FIOSA-MIOSA Safety Alliance of BC) is the health and safety association for manufacturers and food processors in British Columbia. Our guiding principle is to create and maintain a united resource so that the manufacturing and food processing industries can improve health and safety, reduce injury rates, and insurance premiums. Their goal is to assist members and clients wishing to enhance their health and safety management systems. 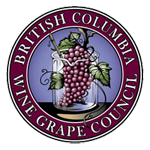 Represenatives from this organization are part of the BC Wine Grape Council Health & Safety Committee.